The Amped Wireless RTA15 High Power 700mW Dual Band AC Wi-Fi Router is blazingly fast, easy to set up, and broadcasts a powerful Wi-Fi signal that enables you to stream HD programs smoothly and without interruption. There are many similar products on the market for a lower price. Some are equal to or faster than this one, but for ease of use, reliability and coverage, the RTA15 is a strong competitor and highly recommended. A router, for those new to this technology, is basically an electronic traffic cop that picks up the Internet signal from your cable modem and makes it available, wirelessly, to other computers and mobile devices on your network. The coax cable from your cable company connects to the back of your modem, and a separate cable connects the modem to the router. 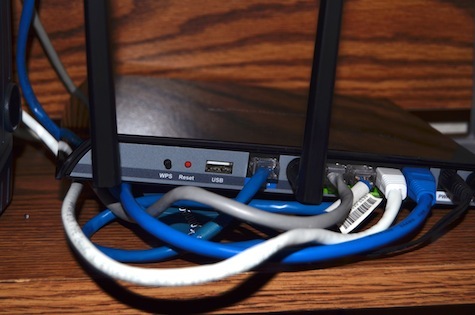 Using an Ethernet cable, which comes with the RTA15, you can then connect the router to your computer. The RTA15 has the standard four ports enabling you to connect to more than one device. For example, I connected three computers and my HP8600 printer. Routers are usually described in terms of their WAN (Wide Area Network) to LAN (Local Area Network) speeds, meaning the speed at which data is transmitted between the cable modem and the router. From here the benchmarks for measuring router performance grow increasingly complex, but suffice it to say that newer dual band routers like the RTA15 typically have triple digit transfer rates. Amped Wireless lists the speed of the RTA15 at 300 Mbps at the 2.4GHz frequency and 867Mbps at 5.0GHz, or a total of 1167Mbps. 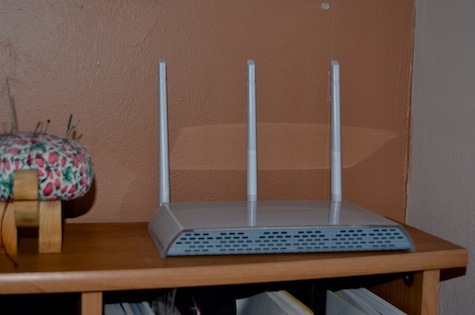 The router broadcasts both 2.4GHz and 5.0GHz signals simultaneously to maximize performance. A dual-band router provides access to the more robust and 5GHz radio frequency. This is a major plus for gamers, users streaming HD video, or households where several people are using the Internet simultaneously. All of which is dizzying geek-speak to describe a very fast router that incorporates the newest Wi-Fi standards. Since I was replacing a fairly old Linksys 54G router with the RTA15, the improvement in transfer rates was immediately apparent. When browsing, new websites snapped into place at speeds at least three times faster than my old router. The RTA15 comes with three powerful antennas that you’ll connect to the rear panels. The antennas and their location on the router are clearly marked 1, 2, 3, making installation simple. Amped Wireless has included the clearest router installation instructions I’ve seen. It took me about 15 minutes to get everything up and running, and most of that time was spent digging through the clutter in my home office so that I could connect my computers. Amped Wireless says the wireless router will cover 10,000 square feet, but the signal diminishes the farther you are from the base. You can encounter dead spots caused by walls and other environmental factors. Typically these problems are seen in vertical distances. 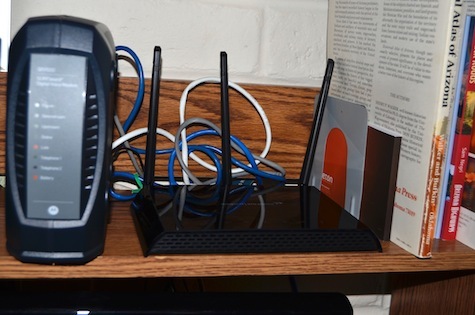 If your router is in the basement, for example, you may have trouble with the WI-FI connection on the second floor of your home. That’s where the REA20 Wi-Fi Range Extender comes in handy because, unlike the router, it can be placed anywhere in your home. It acts as a repeater, picking up the WI-FI signal between the router and the dead spot and extending its range to a greater distance. When the REA20 came on the market last August, it boasted among its features three high-gain antennas and ten power amplifiers, the most ever used in any Wi-Fi range extender. The amplifiers include two 2.4GHz amplifiers, four 5.0GHz 2-Stage amplifiers and four advanced, low-noise amplifiers. Admittedly, these technical details will have little meaning to the average consumer. The bottom line is that the technology packed into the REA20 gives it the ability to eliminate Wi-Fi dead spots, penetrate thick walls and extend Wi-Fi coverage by up to 10,000 square feet, while streaming high-quality media at faster speeds to multiple devices at once. You don’t have to live in a 10,000 square foot mansion to find this combo of router and range extender useful. It is possible to sit on your patio or at the far end of a swimming pool and still connect to the Internet with your iPad, iPhone, or laptop. Set up is no more complicated than plugging the device into a wall outlet. 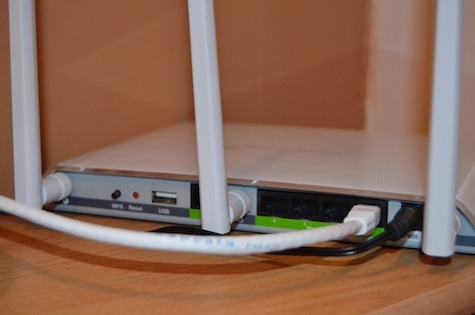 You also can connect another computer to the local network using the range extender. I had an old PC that was never configured for Internet access because my wife just used it occasionally to transfer embroidery patterns between a CD and her sewing machine. I used an ethernet cable to connect that old machine to the range extender and in a minute it was on the Internet. Both the RTA15 and REA20 come with many more features than can be covered here. Check out Amped Wireless’s website for a more comprehensive list.